Shenzhen Window of the World is something that you will not miss when you come to Shenzhen. It’s a very large park. I don’t know the area exactly; but it’s very well within the city. 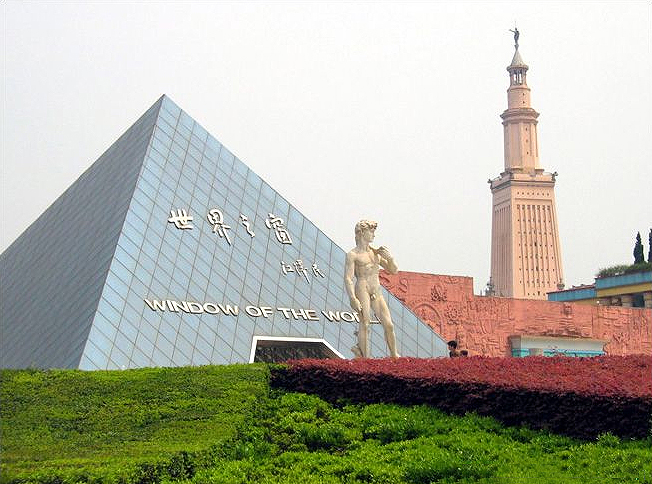 The Window of the World contains about 130 replicas of globally renowned tourist spots and global wonders; to name a few...the Eiffel Tower, the Pyramids of Egypt, Niagara Falls and the Taj Mahal of India., all with in a same park ! The whole park itself is divided into the World Square, Asia Area, Oceania Area, Europe Area, North America Area, World Sculpture Park and International Street, each with it’s popular spots/wonders. The sizes of the replicas are created with exact proportion to their real ones. (usually they are 1:1, 1:5 and 1:15 of the actual structure) and placed in respective squares - geographically. It is a kind of cultural exhibition, including historic relics, key points of interests, natural sceneries, world wonders and art, ..etc. 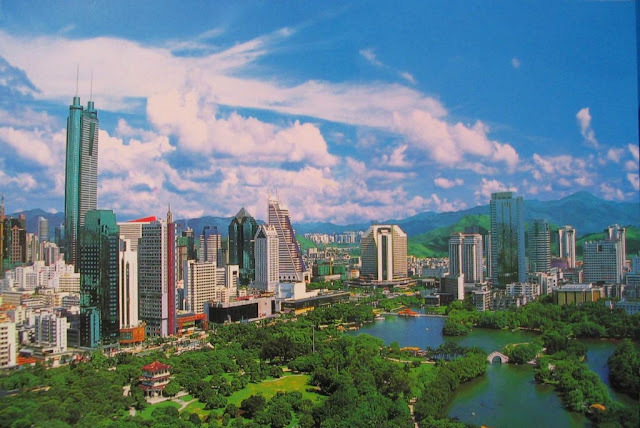 Originally, it was created as an introduction to international cultures for the local tourists. 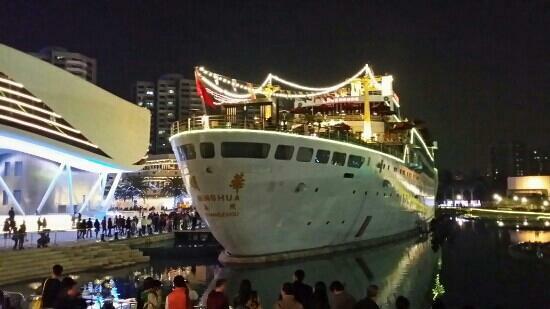 Even though it may not serve the same purpose for overseas travelers, it is still a fun and interesting day out. I visited the Luohu commercial city (also called as Lo Wu Shopping Plaza) on a weekend. 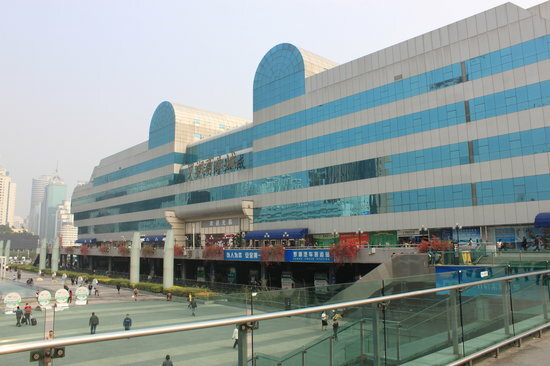 It is a shopping mall located on the banks of the Shenzhen River, right outside the entrance/exit to Luohu Immigration Control Point. 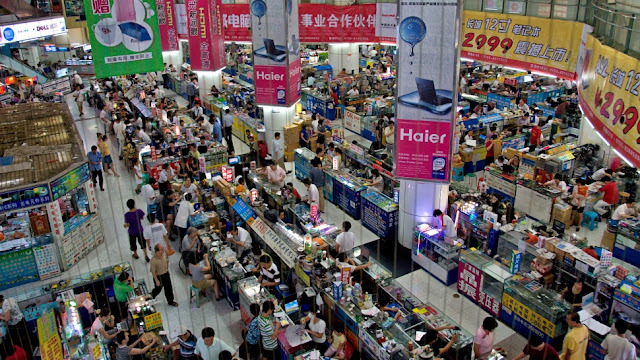 The mall is about five stories tall; has heaps of shops although most of them sell similar stuff. I think two or three hours is plenty of time at this place. You can find and buy almost everything… like shoes, watch, belt, wallet, bags, toys, clothes, jewellery, Phones, Tablet PCs ...of all leading brands, at their half price. The reason is most of them are fake !! If you really want buy something start negotiate by dividing given price by 10!. ; they will accept for at least 5 or 7 times lower the price initially said. As I already said, most of them are fake, but still some are worth to buy for the price we pay. Just by looking at you they know exactly what you need... some people speak enough English. Another thing to be careful is the “pick pocketing”. Friends warned me about bag snatchers and pick pockets. So, I was on my toes the whole time when I was there. This place was fun but after two hours I was exhausted. I only wish they displayed prices, bargaining to avoid being ripped off; it is tiring, man!